So I am preparing to review my first cookbook. Yes, I am not a cookbook critic! Isn't that exciting? I would say so! Anyways, in the hopes that my first review garners a lot of views I am working my way through several recipes to see if they are as delicious as they claim. The book: If It Makes You Healthy. The claim: "more than 100 delicious recipes inspired by the seasons"
So out of the first two recipes I've made, one pleased me and the other one was alright. I don't mean to undermine the recipes, but I will definitely make some adjustments to them in the future. But I don't want to give anything away before I actually review the book, so for now I'll just give you the modified recipes and let you decide for yourselves. 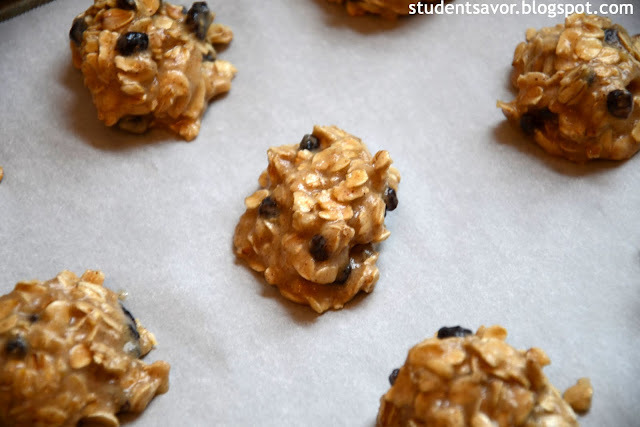 The cookies are not what you would usually imagine when tasting an oatmeal cookie. They're very chewy but taste great. Preheat oven to 350 F. Grease two baking sheets or line with parchment paper. In a bowl, mix sugar and butter until blended. Add egg and beat constantly for 1 minute. Slowly add applesauce and milk and beat until just combined, about 1 minute. In a separate bowl combine flour, cinnamon, and baking soda. 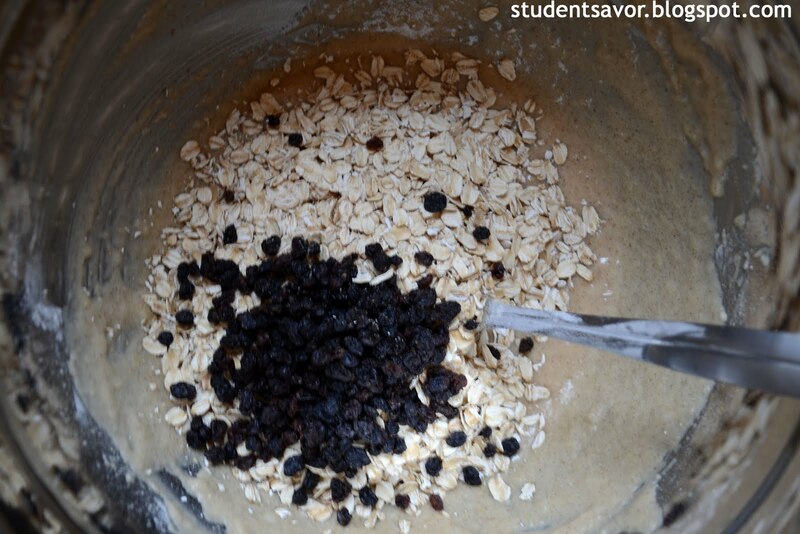 Add dry ingredients to wet ingredients in two batches, blending well after each addition. 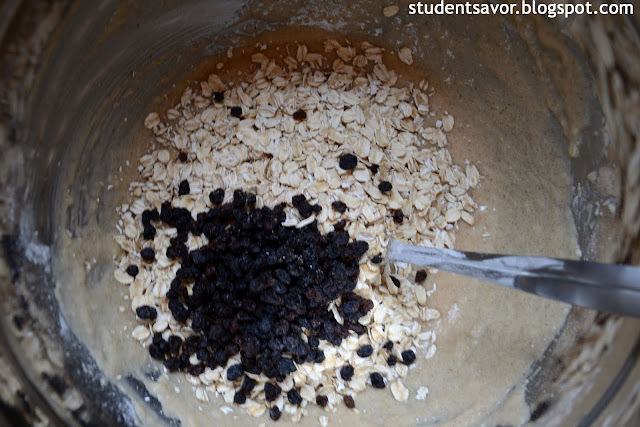 Add oats and currants and mix until just combined. Drop cookies in tablespoons onto baking sheets, about 2 inches apart. Bake for 10-15 minutes or until cookies look crisp around edges. 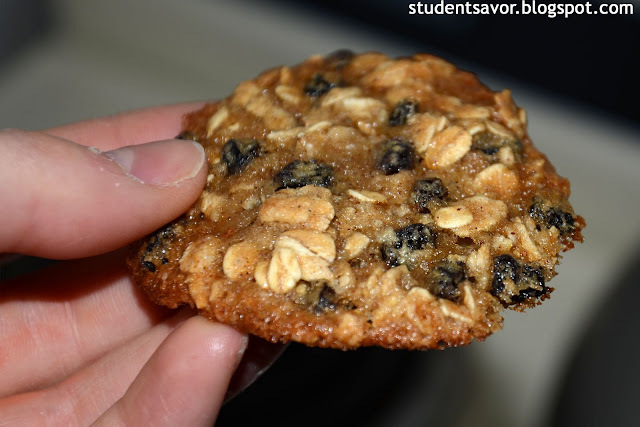 Cool cookies on baking sheets fro 5 minutes and transfer to wire rack. Cool completely on rack. Bring a pot of water to a boil and add a pinch of salt. Add the green beans and cook for 2-3 minutes or until slightly soft, water still boiling. 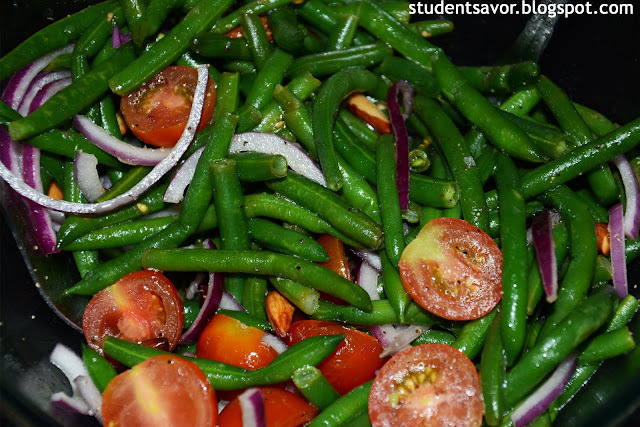 Drain green beans and immediately transfer to a bowl of ice water. (This is called blanching). Drain green beans after 3 minutes in ice water. 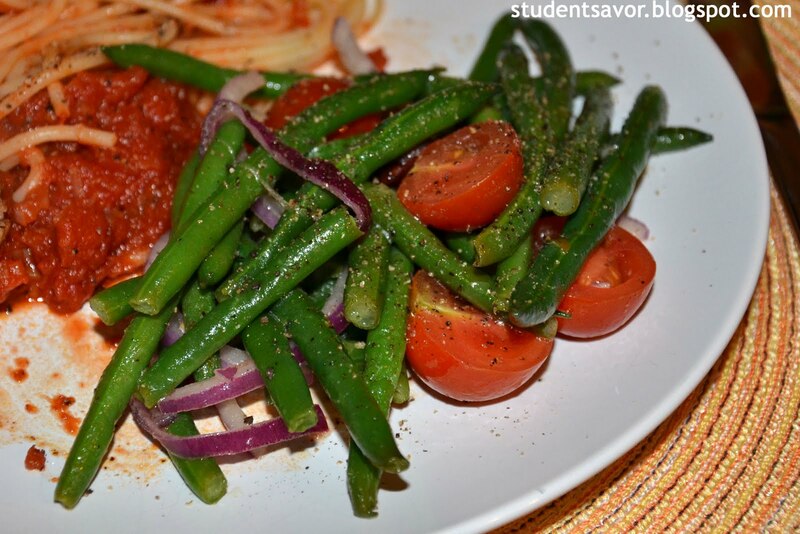 In a large bowl, combine remaining ingredients and add green beans. Toss to mix and season with S & P. Serve cold.